General Federation of Nepalese Trade Unions (GEFONT) Seventh National Congress has been concluded grandly electing new Leadership. The congress was held during 28-31, March, 2018 in Kathmandu and the Congress has elected New GEFONT National Executive Committee under the Presidency of Com. Binod Shrestha. The Congress has elected Current President Com. Bishnu Rimal as the Patron of GEFONT and Current Senior Vice President Com.Hari Datta Joshi has been elected as the Chief of GEFONT Congress Delegate's Council. Likewise, Current Secretary General Com. Bishnu Lamsal has been elected as the Chief of the Central Commission for Discipline Inspection and Com. Jank Chaudhary has been elected as the Secretary General. 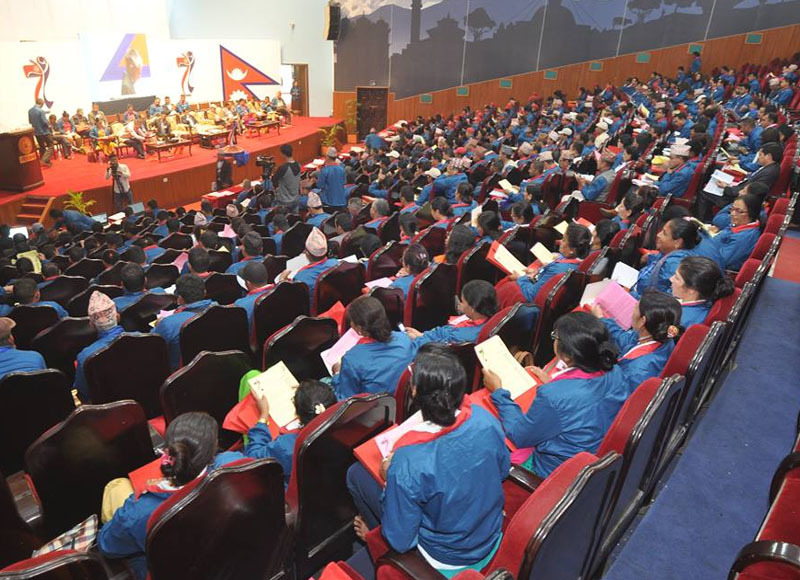 412 Delegates have been participated in the congress throughout the country. Likewise, 48 Foreign Guests from 31 Organisations of 23 Countries have participated in the Congress.